There’s a scene in the new Netflix series Mindhunter where protagonist Holden Ford (Jonathan Goff) is brimming with excitement to meet and interview Richard Speck, the mass murderer who infamously killed eight women in one night in 1966. Ford plays a special agent in the FBI’s newly formed Behavioral Science Unit and is trying to develop a working theory of the psychology of serial killers. His job is the extension of a childhood fascination with deviant behavior. As a kid, Ford followed Speck’s crimes intently, collecting newspaper clips about the murders and contemplating the killer’s psychology. Now he gets to indulge that interest in person. Ford’s morbid curiosity mirrors our own. For the past 40 years, we’ve had an insatiable, borderline unhealthy obsession with serial killers — alternately demonizing and glorifying them, obsessing over the details of their crimes and, more than anything else, theorizing about what compelled them to commit such heinous acts in the first place. 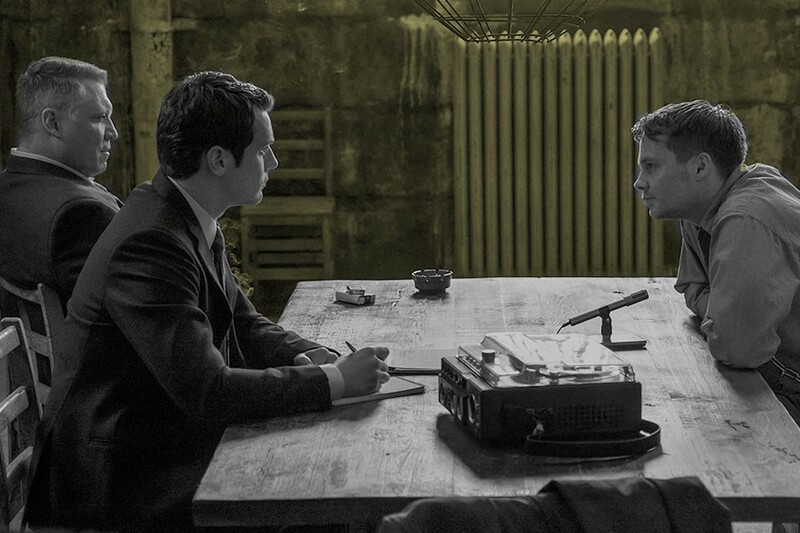 Our interest in serial killers is perhaps best exhibited by Mindhunter itself. Just a week and a half after premiering, the show is Netflix’s latest runaway success, with executive producer David Fincher already discussing the next several seasons of the show. What’s strange about our continued fascination with serial killers, however, is that serial murders are far less common today. The number of serial killers operating in the U.S. has been steadily declining since the 1990s, according to criminologist Scott Bonn, author of Why We Love Serial Killers: The Curious Appeal of the World’s Most Savage Murderers. But our intrigue persists anyway. The cultural zenith for serial killers was 1974, when Ted Bundy, John Wayne Gacy, Carl Eugene Watts and Dennis Rader (aka “The BTK Killer”) simultaneously wreaked havoc in different parts of the country, and the same year the FBI established its Behavioral Science Unit. “Society tends to spawn criminals that reflect a given era,” Bonn says. “The 1970s was the Me Generation. So I don’t think it’s any mistake that it spawned these incredibly narcissistic, self-aggrandizing, headline-grabbing serial killers. Bonn’s statement illuminates an interesting dichotomy regarding the modern state of the serial killer — despite no longer capturing the attention of the news media the way they once did, serial killers remain an endless source of pop culture inspiration. There’s been no shortage of films (Monster, Se7en, Summer of Sam, Silence of the Lambs, Zodiac); network procedurals (Criminal Minds, CSI, NCIS, Law & Order); and prestige TV series (Dexter, Hannibal) that have dared plunge the psychological depths of a serial killer over the past several decades. “With serial killers, there’s this passion for blood — they go on killing until they’re caught. And we’re fascinated by that. We’re compelled to understand how someone can become a predator like that. It even raises the question, ‘Is there anything inside of me that’s similar?’” Bonn says. It’s curious, then, that there are no indelible pop culture depictions of mass shooters, who dominate the modern news cycle in much the same way serial killers did in previous generations. The Columbine killers were lashing out at the vapidity of their classmates, their tony Colorado suburb and society in general. Dylann Roof said his murders were about fighting against the social gains made by African Americans. And James Holmes wanted to make the world pay for his failing out of his doctoral program at the University of Colorado. And yet, there’s no Silence of The Lambs equivalent for the Columbine shooting. Our reluctance to explore the psyches of these shooters in pop culture stems from a simplistic view of them and their actions — namely, that they’re people who snapped one day and committed a rash act of unspeakable violence. But Bonn says that’s inaccurate: Many mass shooters contemplate their crimes well beforehand. The irony is that our reluctance is what helps mass shooters remain so foreign and terrifying in our minds. It creates the horrifying perception that their motives are unknowable, and that any of us could fall victim to their seemingly random attacks. “When things are uncertain and unknown, it’s human nature to practice avoidance. If you think there’s no rational answer, then why spend time obsessing over it, especially if the end result is only going to be more anxiety and fear?” Bonn asks rhetorically. There was a similar reluctance to inspect the minds of serial killers in the early 1970s, when the FBI first began doing so. That tension is captured in Mindhunter. While Ford is exhilarated by talking to serial killers, his partner Bill Tench (Holt McCallany) is repulsed by the exercise, and needs to be constantly reassured of its usefulness. Tench ultimately convinces himself the project is worthwhile. “How can we get ahead of crazy if we don’t know how crazy thinks?” he later asks. It’s a question audiences continue to consider in terms of serial killers — possibly as a way to avoid having to think about the more immediate, scarier threats that exist today.